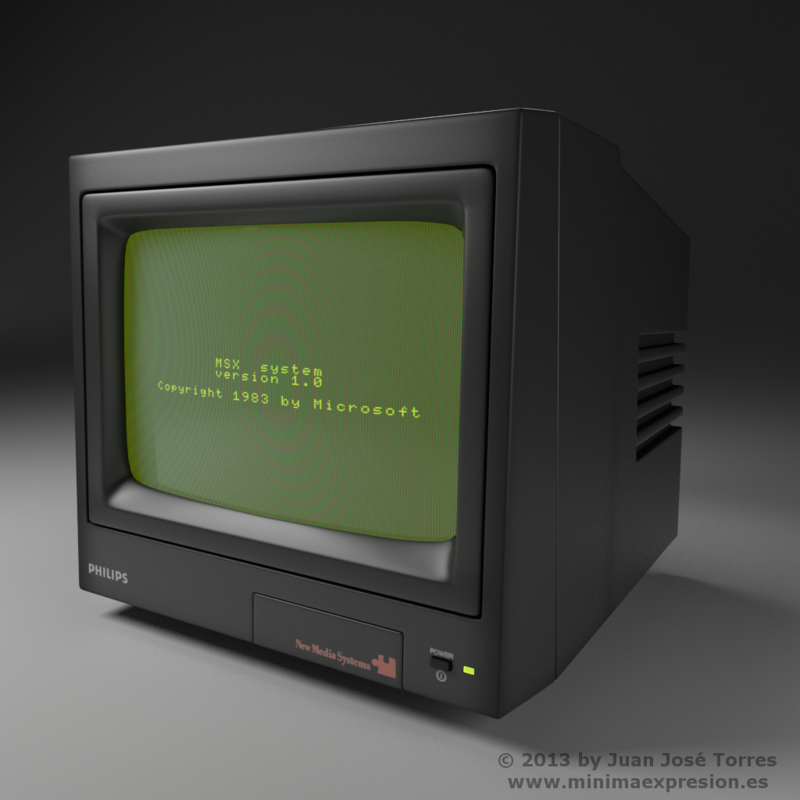 It’s been thirty years since Microsoft and ASCII jointly introduced the MSX standard to the world. These renders were created to celebrate it. Although mostly successful in Japan, some European manufacturers adhered to the standard as well, the best known of them all being Philips. 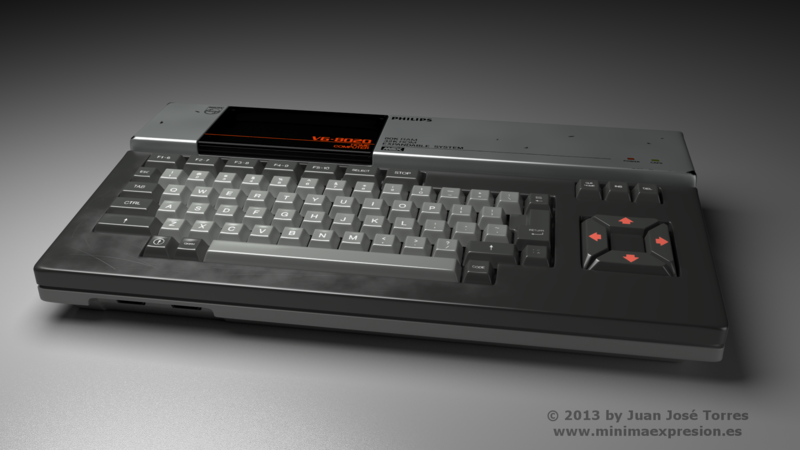 Their VG-8020 MSX was a popular computer in the mid-eighties european market. It was marketed to schools everywhere as a powerful learning tool, and that’s how my school bought a dozen of them, along with a standard setup of Philips green phosphor monitors and tape recorders. 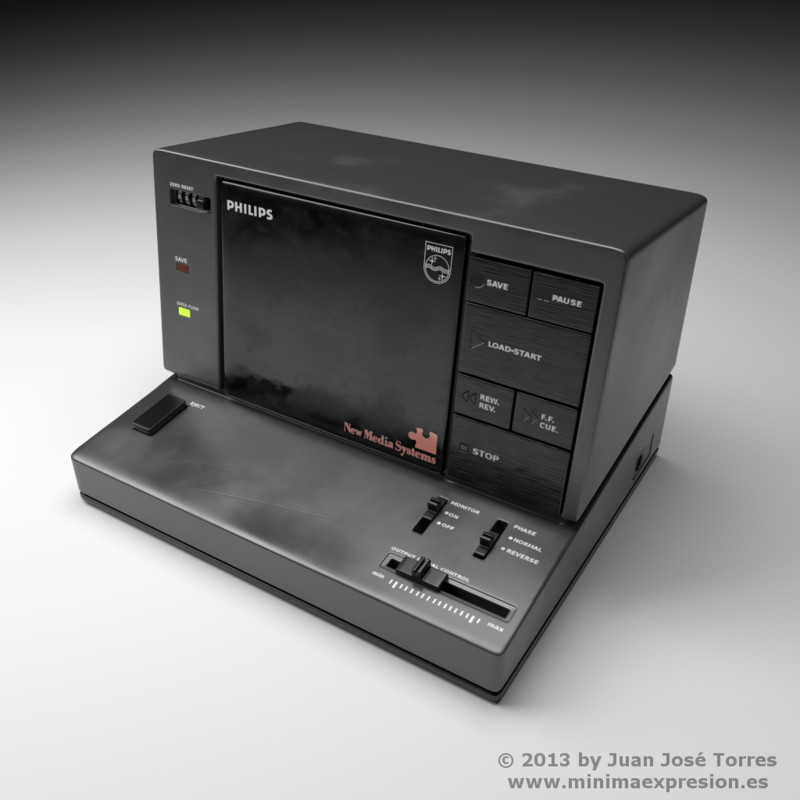 Learning Basic programming language on those machines was my very first computing experience. I have been intermittently working on this project for some months. It’s been an exercise in patience, mostly because I obsessed myself with reproducing all items in it as faithfully as possible. That might seem pointless, since many of those details can’t be appreciated in this scene, but I wanted my assets to be reusable for a future project. Every single object was modeled with Blender and all renders in this post have been created with Cycles. 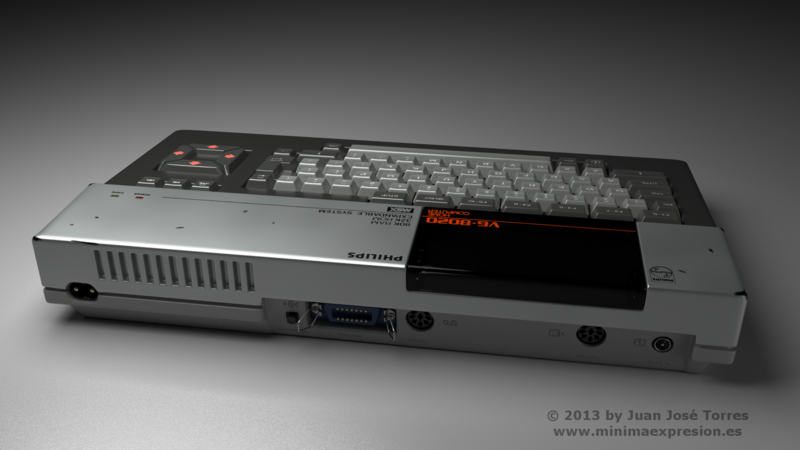 Here are some detailed renders for each of the devices in the scene. 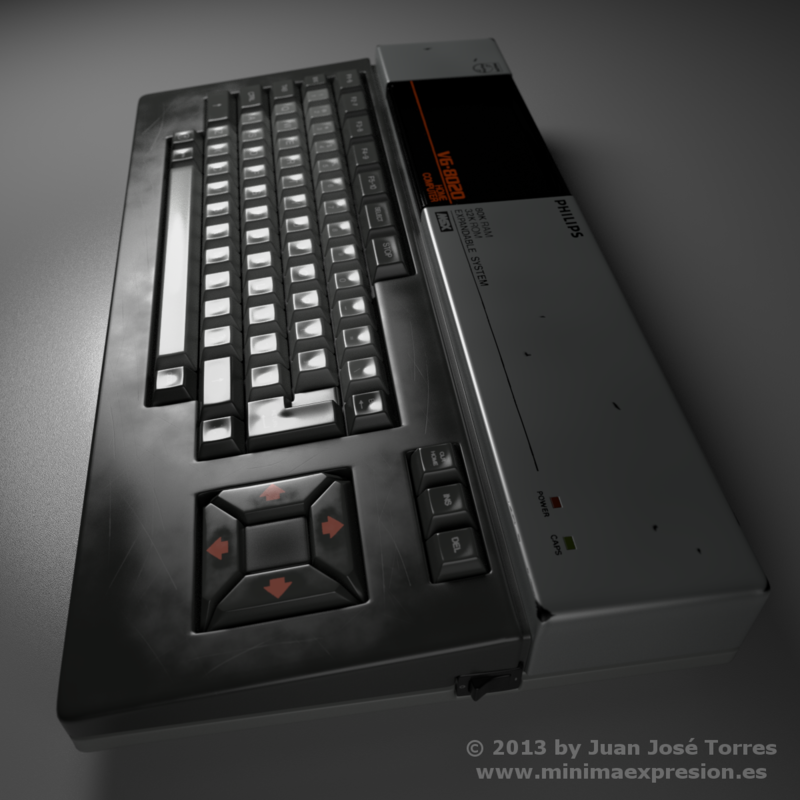 Posted in Blender - 3D Art and tagged 1930, 80's, 8bit, aniversario, anniversary, años ochenta, blender, computer, cycles, eighties, model, modelado, MSX, NMS-1515, NMS1515, ordenador, Philips, retro, VG-8020, VG8020, vintage, VS-0040, VS0040. Un trabajo muy chulo. Me gusta mucho. que añoranza! que bonitos recuerdos! Very nice work, Juan Jose! Your attention to detain is outstanding…from the smudges and worn edges on the keyboard, scan lines on the monitor…awesome. I’ve got quite a ways to go with my models but this project of yours provides great insight. ¿Me está pareciendo ver unos arañazos y desgaste en el teclado? Muy buen trabajo. Venía buscando otra cosa y he acabado aquí, por curiosidad. Un saludo. Gracias por tus comentarios, José. Sí, en la cuarta imagen de esta entrada puedes ver el desgaste con mayor detalle. haaa ja ja… que recuerdos.. wow… ya ni me recordaba de esos Fosiles, pero que en ese tiempo fueron mi vida..
Fantástico trabajo. El resultado es de una calidad alucinante. 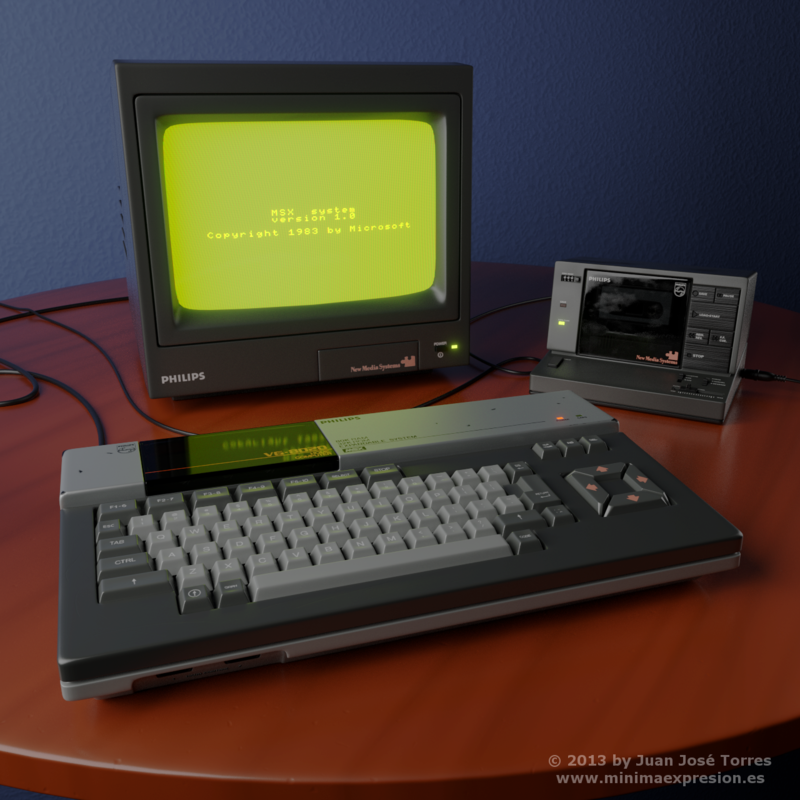 Yo no tenía un MSX pero sí un ZX Spectrum 48k, también con monitor de fósforo verde (o alternativamente se conectaba a la tele), y tu trabajo me muchos trae recuerdos. Microordenador, se les llamaba por entonces.